A special extra post today for a spin-off from the main Hauptwache Weihnachtsmarkt in Frankfurt. 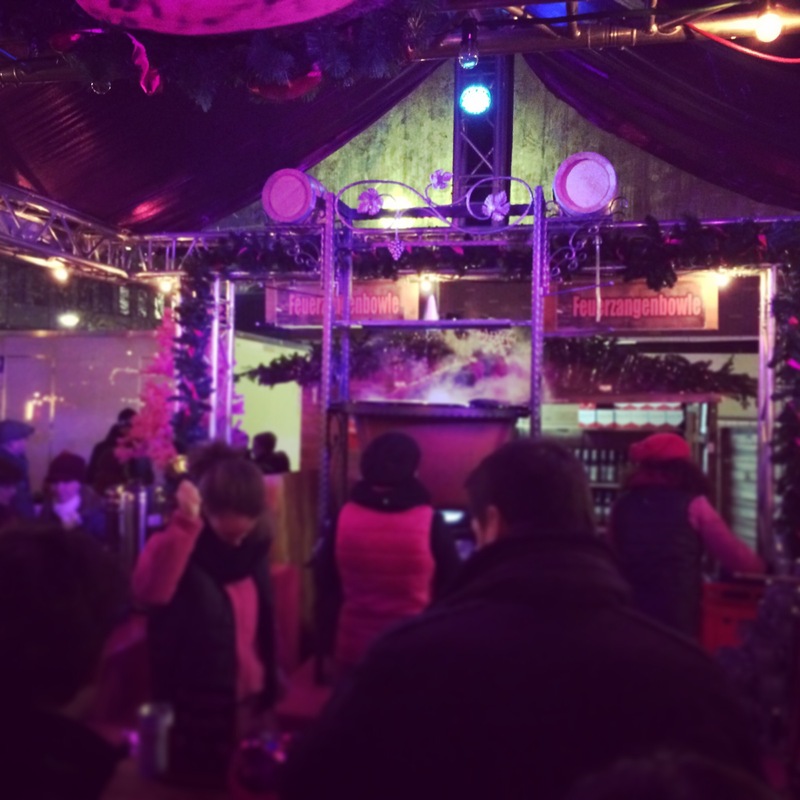 The Rosa (pink) Weihnachtsmarkt is a LGBT themed Gluhwein stand, in Friedrich-Stoltze-Platz, which as the name says, it lit up with pink lights. This is the only reference to the gay scene, but it is also the only place in Frankfurt I have seen selling hot Christmas cocktails! 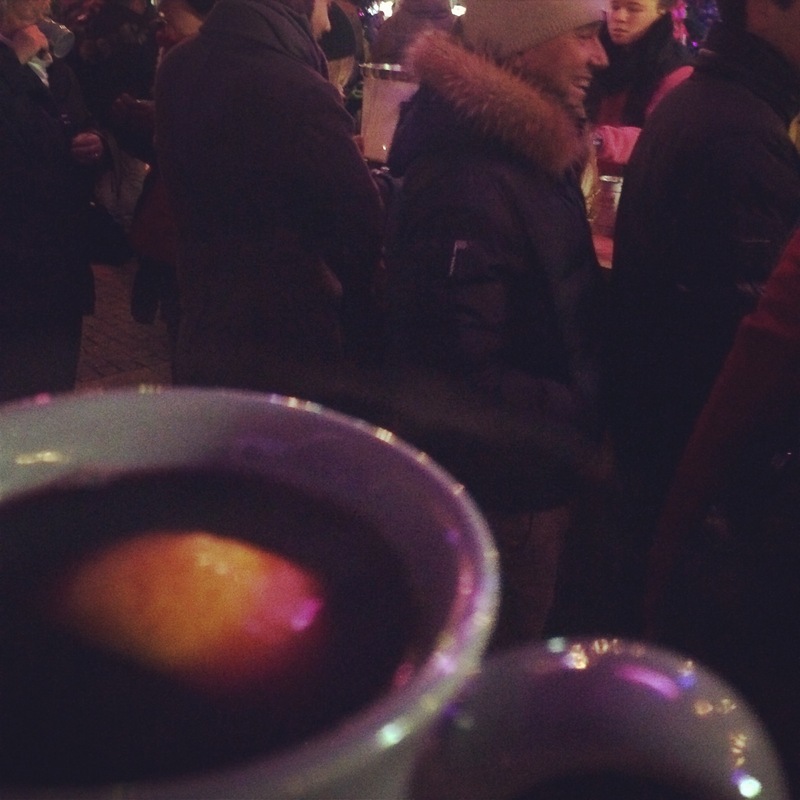 The also do a Gluhwein variation called Feuerzangenbowle which involves burning/melting a sugar cone above the Gluhwein pot so that it drops in. To be completely honest it tastes very similar, but fun to watch! ← Where’s your local Christmas Market?